The Yosemite Gateway Motel is located in the town of Lee Vining, California just above spectacular Mono Lake, and it is 14 miles from the eastern entrance to Yosemite National Park. With a view of Mono Lake from almost every room, we are one of the most popular stops for lodging in the Eastern Sierra. To CHECK AVAILABILITY and MAKE RESERVATIONS, Please click here. 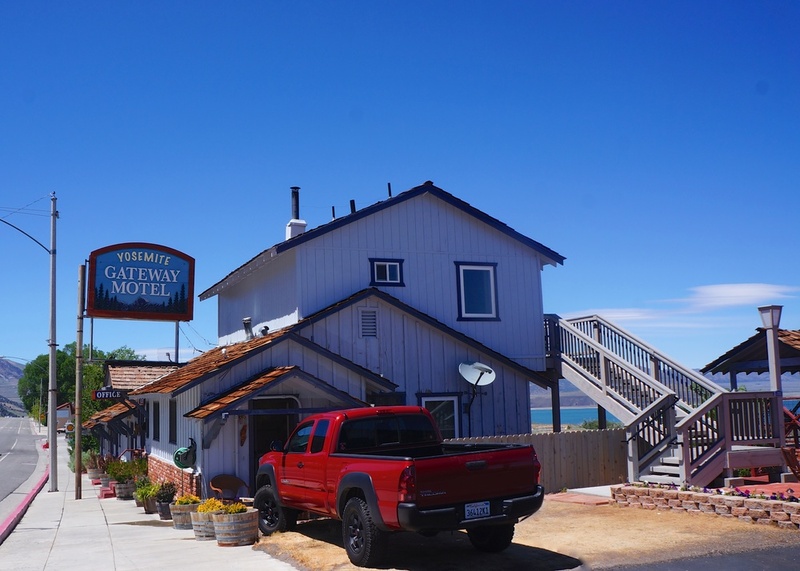 The Yosemite Gateway Motel is located on the east side of Highway 395 - facing beautiful Mono Lake. Motel amenities include a gorgeous view of Mono Lake from almost every room, free parking, and multiple sun decks for enjoying the view. The Yosemite Gateway Motel has three different buildings, and the rooms are different depending on their location. Standard amenities in every room include gourmet coffee, HD flat screen TV's with HD Direct TV programming, private bath or shower, and free unlimited WiFi. Guests at the Yosemite Gateway Motel come to the beautiful Eastern Sierra for many reasons. Some of the sights you can see within just a few minutes from our motel include Yosemite National Park, Mono Lake Tufa Reserve, June Lake Loop, Bodie State Historic Ghost Town, Lundy Lake, and Mammoth Lakes.